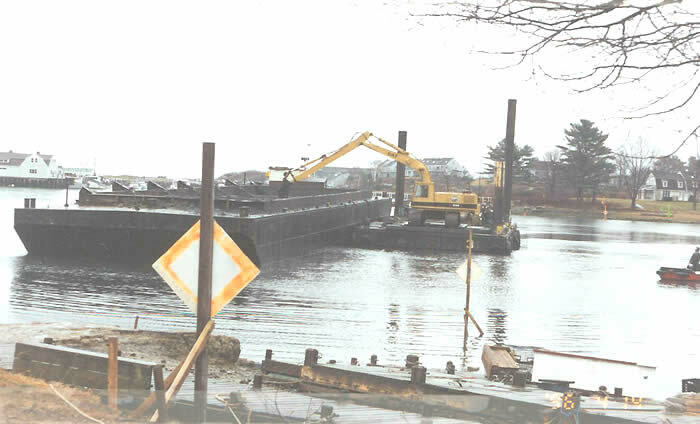 The “3” dredge is a 36′ X 65′ spud barge with a Caterpillar 235 excavator that swings a 20’+ stick. 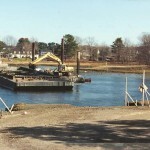 She has 50’ hydraulic spuds. 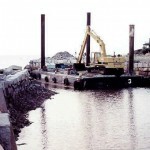 The dredge is capable of working both in or near shore to optimize the reach of the excavator. 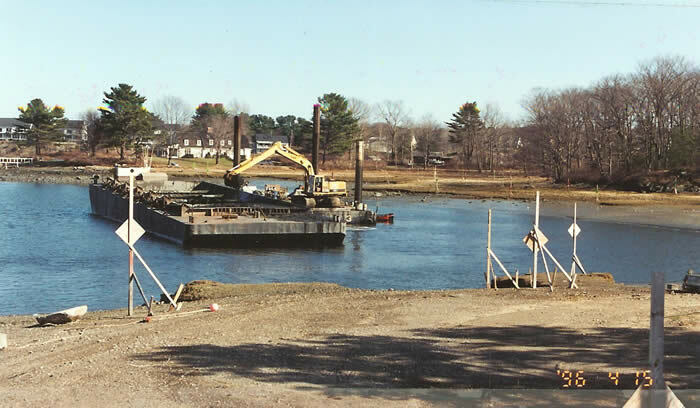 Complete with tide and depth gauges as well as Digital Global Positioning, (DGPS) the “3” Dredge can insure precision dredging is carried out effectively in constricted and open waterways. 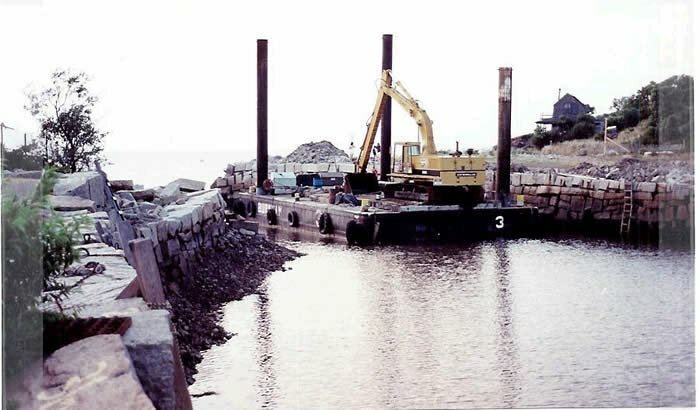 This vessel draws only 3’ and can maneuver itself into the tightest location with only the excavator as propulsion and can move easily in tidally influenced areas. 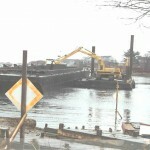 With a standard three yard bucket the dredge is capapble of removing upto 1,000 cubic yards a day or more as required. 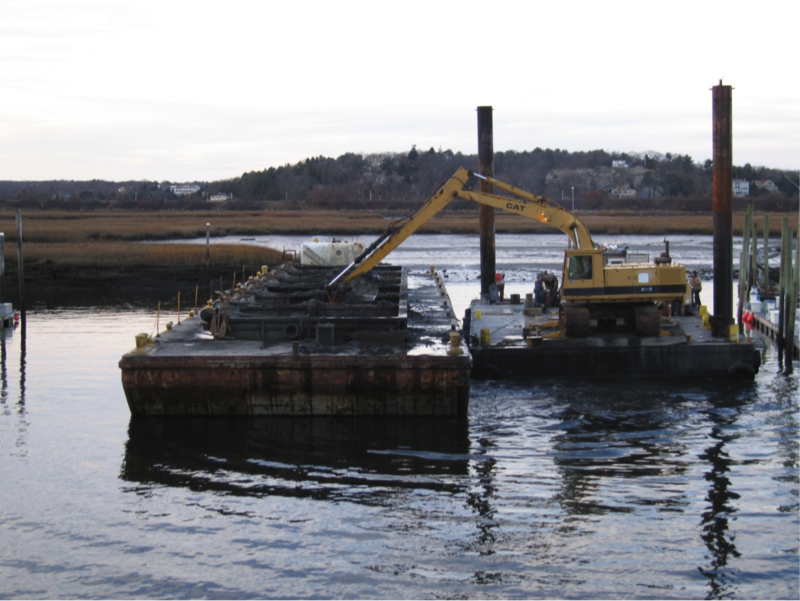 This is a simple but extremely effective dredge for close proximity dredge work.